Is a bike fitting only for people really serious about their riding? Not at all. Whilst many of our customers are competitive triathletes or road racers, we also have many who are brand new to cycling, or are commuters, or people with some sort of injury/niggle that they want to get sorted out. You mention Steve Hogg quite a bit on your site – who is he? 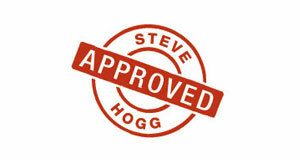 He is a bike fitting guru based in Sydney, Australia – www.stevehoggbikefitting.com. He has spent a lifetime evolving fitting techniques and analyses which are so successful that people frequently fly to visit him for a fitting. To date, Steve has only accepted two people for training – Scherrit in London and Colby Pearce in Colarado. What is included in a bike fitting? Fitting one bike and one pair of shoes. We will work with you until we solve your fitting issues. Do you shim and wedge? Yes – where necessary. If you have a leg length discrepancy and/or need shimming we have the equipment and knowledge to do it. In addition, we hold the patent for Steve Hogg’s wedging analysis equipment which ensures great accuracy. We often get customers recommended to us by Physiotherapists. The greatest leg length discrepancy we have dealt with to date is 2.5cm. Give us a call and we will chat you through the advantages and disadvantages of road versus mountain bike systems. We will suggest what shoes you buy – and then you can leave the choice of which pedal until your fitting as we keep a wide range in stock. Yes – we are a Speedplay fitting centre. We hold all of the Speedplay accessories, such as: different length axles, carbon shoe wear plates, fore-aft adapters, cleat covers etc. We are also the UK stockist for Keep-On-Kovers. Can I just come for a cleat fitting? Unfortunately not. Cleat fittings are for people who have already had a fitting with us and either want new shoes set up or have decided to change their pedal system. The problem is that you can’t isolate one part of the fitting – all your contact points (feet, seat, hands) interact and must be set up together in order to get them right. No we don’t. But we can give you some advice re. what to look for and what to avoid. If you are in any doubt, just give us a call before your fitting. A fitting lasts around 5 hours assuming you are using cleats. If you are using or want aerobars, then allow up to an hour extra. Bring your shoes, your bike, cycling shorts and a close-fitting top. What if I would like a second bike fitted? We would recommend that you get one bike and pair of shoes fitted. Then ride for at least 3 weeks to be sure that everything is perfect. And then either you or we can duplicate your fit on your other bike/bikes. I’ve got a big event coming up – what is the shortest time you would recommend between a fitting and an event? It depends. If you are experiencing pain on your bike, then even having a fitting a few days before an event will improve things. However, if you want to have the best chance to fully adapt to your new position we would recommend a minimum of around 3 weeks between a fitting and a big event. But please note that we would strongly recommend no maximal efforts during that 3 week adaptation process. What do you keep in stock that can be used during a fitting? We keep a full range of aheadset stems, handlebars, aerobars, bar tape, insoles (SuperFeet and eSoles), shims, wedges, all types of pedal, shims and wedges. In addition, we have test SMP saddles if you can’t get on with your current saddle. My bike needs some work done – will there be time during a fitting? No. If your bike needs a service please have it done beforehand. If we need to do work on it to enable it to be used during the fitting we will charge this mechanicing at £60 an hour. Do you keep a copy of the fitting sheet? What are your waiting times like? During the summer, lead time for an appointment is usually around 6 weeks. We do get the odd cancellation, so we can put you on the list if you would like – priority for cancellations will be given to people who already have fittings booked and have requested an earlier appointment. Saturdays are very popular and so the waiting times tend to be longer. Please note that we only do one fitting a day. Do you have appointments in the evenings and weekends? We do fittings on a Saturday, but no evening appointments as a fitting can last up to 5 hours. I’d like to come for a fitting, but I suspect my bike is the wrong size? Give us a call and we will make a quick appointment for you to tell you if your bike can be fitted to you In the unlikely event that it really is much too small or big we will recommend what size you should buy. I’d really like to come for a fitting – but I live abroad. We have had several customers fly in for a fitting – from France, Dublin, Cyprus, Denmark and the Canaries. We are approximately a 1 hour drive from Heathrow, or we can arrange a taxi to collect you and your bike (although it might be as cheap or cheaper to hire a car yourself). If you are coming to us from abroad we will clear a whole day for your fitting appointment. What if I am late for my fitting? If you are more than 30 mins late we will need to re-book your appointment. We can’t speed up a fitting appointment and so if you are late this will cause a delay for the next customer. Please give us a call as soon as you know you are going to be late. We accept all cards, cash, or cheques. At present we are not servicing bikes as we have too much demand for fitting. I don’t have a bike at present – can I come along to a consultation without a bike? Yes of course – we have a size cycle so we will fit you on that and then recommend what bike you should buy. I’d like to come for a fitting – but I don’t have a bike. Shall I buy one and then make an appointment? I would recommend you come for a new bike consultation. Then you will be sure that your new bike is the right shape and the right geometry for you. Because of this we find fitting a bike we have recommended is a much smoother process. We can’t do a bike fitting for you unless you have a bike as we make all the adjustments to your bike during the fitting. I’d like a custom bike – can you help? Yes – we can recommend the size, geometry and material – we will do a CAD drawing for you. We can also discuss which builder and what frame material might work best for you, and do some liaison between you and the builder. We can work with builders based in the UK or abroad. Why do you only build with silver spokes? Because it would double our stock-holding. We hold around 60 different lengths and types of silver spokes in stock and just don’t have room to store double that amount. I’d like to learn more about bike maintenance – when is your next workshop? At the moment we are not planning to hold any workshops as there is too much demand for fitting.